NORTHERN OAK began in 2006, in the humble confines of Ranmoor Hall, a hall of residence for students at the University of Sheffield. Founding guitarist Chris Mole and founding drummer Daniel Loughran met at a social event held by the University of Sheffield Rock Society and immediately hit it off, deciding to get together and jam at Ranmoor Hall- without any intention of founding a band at this point. The duo were raising Cain in the practice room one balmy autumn evening when there was a knock at the door and founding keyboardist Elliot Sinclair stuck his head round the door- he’d heard the two of them playing from his room and, due to his own love of black metal and medieval music, had come down to tell them that they sounded more to his liking than all the other bands who had been frequenting the practice room. In almost no time, the three of them decided to start a band, and began to meet more regularly and convene for drinks in the Ranmoor bar in order to discuss the concept and musical direction of the band. Elliot’s love of black metal and medieval music was mirrored by the other two; Dan had a particularly large interest in traditional folk music, and Chris was more into black metal, but there was a common ground. Shortly, the band found themselves looking for a vocalist, still without a name at this point. Another connection was forged through the Sheffield University Rock Society, and vocalist James Harris joined the band. been recorded by Chris Mole. 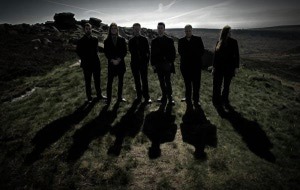 In 2008, the self-recorded and self-produced Tales From Rivelin was released to positive reviews from music magazines such as Terrorizer and Zero Tolerance; the band received praise for their naturalistic and very English sound, as well as the overall quality of the self-released album. The band gigged much more widely in support of Tales From Rivelin throughout 2008, including a show at the Gathering of the Clans festival in Coalville, and began to work on material for their next album; however, progress was slowed in early 2009 by the departure of drummer Jesse Harrison and bassist Kimberley Sears.A replacement bassist was found in Richard Allan, a friend of Mole and Collins’ from the University of Sheffield Rock Society, and new drummer Paul Whibberley (a friend of Williams’, who also played with her in the salsa band Cuatro de Diciembre) also joined the group. The new members meshed well with the band, and progress on new material began to accelerate- the band was also able to perform more shows, travelling to Edinburgh for the Highland Fire Festival and back to Coalville for their second appearance at the Gathering of the Clans festival. Two rough, live EPs were released during 2009 and early 2010 as the band decided to showcase some of their new material in a lo-fi format to their fanbase; both were made available free of charge while the band began to gear up for the recording of the follow-up to Tales From Rivelin. Recording began in earnest in 2010, and took from March to October of that year; again, the album was recorded largely by Chris Mole in a variety of locations. Drums were recorded at Sheffield University’s ‘Soundhouse’ studio with assistance from Harriet Holman, a friend of the band, guitars were recorded at Birmingham’s ‘Hellfire Studios’ and the vocals and flutes were recorded at the home studio of Loo Yen Yeo, vocalist in Cuatro de Diciembre and good friend of Williams’. The album was once again produced and mixed by Mole,mastered by Lee Redfern at ‘Redfern Studios’, and released with cover artwork by Travis Smith (Opeth, Devin Townsend, Nevermore, etc.) at a grand launch show in December 2010 at the Corporation, Sheffield- an evening of burlesque, masquerade masks and support from black metallers Old Corpse Road saw Monuments launched with a fanfare. Shortly after this, founding keyboardist Elliot Sinclair left the band; he was moving back down to London and unable to continue gigging and practicing with the group. New keyboardist and violin player Digby Brown, another friend of theirs through the University of Sheffield Rock Society, joined the band shortly after. 2011 was an amazing year for the band; Monuments received some excellent press attention (see the ‘Press’ link on the Discography page for examples) and two live performances at Bloodstock Open Air Festival (one acoustic, one electric) garnered the band a great deal of positive press and some glowing reviews. Later in the year, the Zero Tolerance-sponsored Great Exhibition tour in November of 2011 alongside Old Corpse Road, Eibon la Furies and The Prophecy, brought the band’s show to a wider audience across the UK. The band continued to gig throughout 2012 while also beginning to work on new material for their third album, promoting Monuments to audiences across the UK. 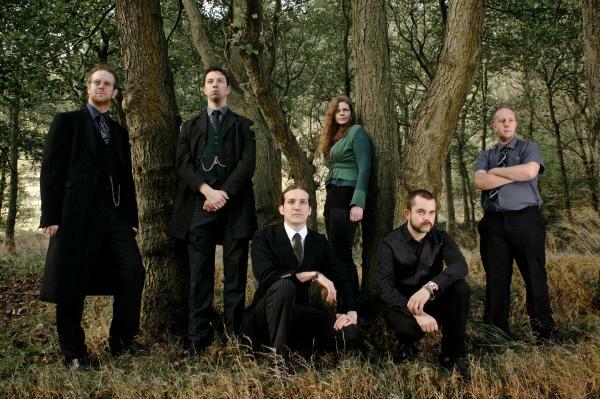 Early 2013 saw the band supporting Old Corpse Road on the first leg of their ‘Tis Witching Hour tour, to promote the release of their debut album, with shows in Darlington and Hull. As 2013 advanced, NORTHERN OAK began looking into ways to fund the recording of their third album, the follow-up to 2010’s Monuments. They wanted to produce something that was much higher quality than the last album, in order to do the songs that they had written in the previous three years justice, and discussed various ways of achieving that. Eventually, the band decided to run a Kickstarter campaign in order to try and raise the funds that they needed to record, and after discussions with the members of Mael Mordha at a show in York, contacted esteemed metal producer Chris Fielding (WINTERFYLLETH, CONAN, PRIMORDIAL, ELECTRIC WIZARD)to discuss recording the album at his new studio, Skyhammer Studios. The Kickstarter campaign ran from November to early December, and the band supported it by putting together a 6-date tour entitled The Astral Chaos Tour with their good friends Eibon la Furies. The tour allowed them to spread the word about the Kickstarter campaign, and they were rewarded with the rousing success of the campaign as it reached its funding target of £3000 with more than a week remaining. 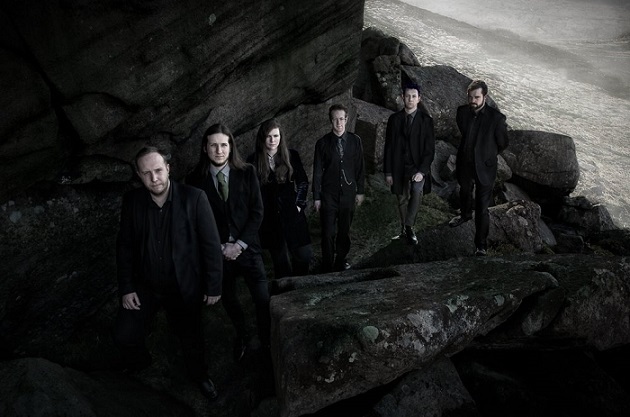 Thanks to the support and generosity of their fanbase, Northern Oak were able to enter the studio in February 2014 and begin recording on their third album, Of Roots and Flesh.